I discovered April Pulley Sayre last winter. She uses photography to illustrate her writing. Or maybe it's the other way around. Maybe her photography inspires her writing. 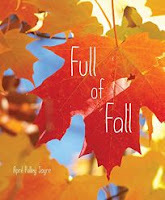 Full of Fall combines stunning photography with spare, expressive, poetic writing. This spring I became interested...just a bit, to be truthful...in nature poetry. 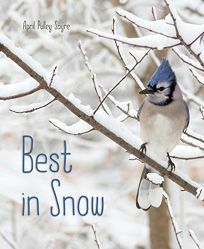 That's what Sayre's Best in Snow is. Nature poetry for children with some more fantastic nature photography. I wouldn't have thought I would like the photography as much as I did.